Dreamscience a leading Ford performance tuning company manufacturing many of its own brand products. Formed back in 2005 the brand is now recognised as one the leading Ford tuning companies globally. Our partnership brings the expertise & experience of the brand center stage. We created a bespoke WooCommerce ecommerce platform that provides users with detailed technical data on each product. 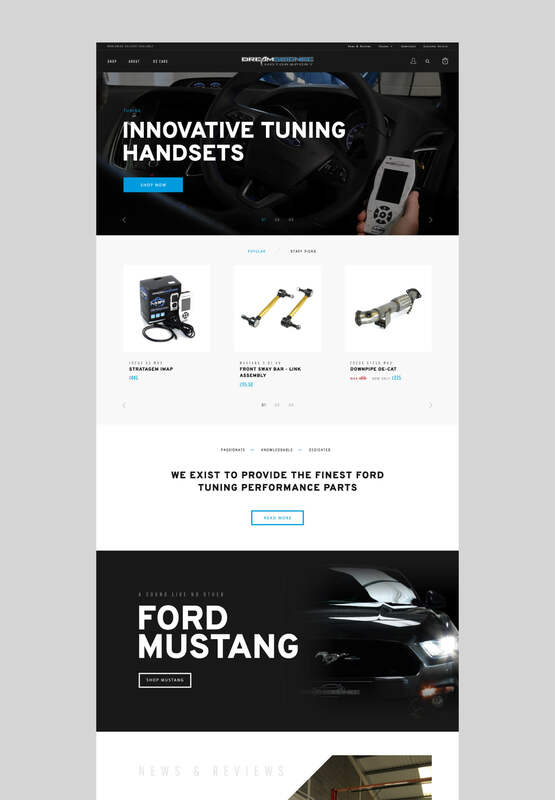 It’s also more than a product site; this is a place where Dreamscience customers can become inspired by other customers tuning projects.